(Jewish Telegraphic Agency) – Ayaan Hirsi Ali, a women’s rights activist and politician who has been publicly critical of Islam, is one of three female leaders of Muslim heritage to be awarded the Lantos Human Rights Prize. The prizes were awarded Thursday morning in Washington, D.C.
A best-selling author, Hirsi Ali is a survivor of childhood abuse and violence, including female genital mutilation. She fled a forced marriage and sought asylum in the Netherlands, where she completed her education and rose from being a maid and translator to an elected member of the Dutch Parliament. 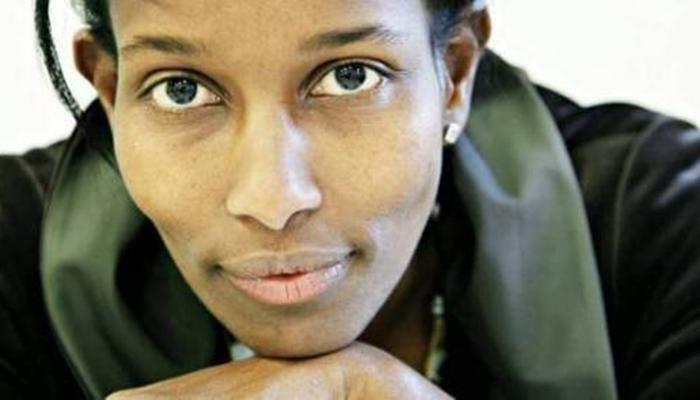 In 2004, Theo Van Gogh, her collaborator on a film critical of the treatment of women in Islam, was assassinated in broad daylight and Hirsi Ali was forced into hiding in the face of death threats. She then moved to the United States and has since been an outspoken opponent of child marriage, female genital mutilation and honor violence. Joining Hirsi Ali as awardees are Rebiya Kadeer, an internationally recognized human rights leader who serves as president of the World Uyghur Congress and has earned the title of the “Mother of All Uyghurs” for her advocacy for the rights of the oppressed Muslims of China, and Irshad Manji, a best-selling author, award-winning documentarian and educator who has been an advocate for a reformist approach to Islam. The prize is awarded annually by the Lantos Foundation for Human Rights and Justice. It commemorates the late Rep. Tom Lantos, the only Holocaust survivor ever elected to the U.S. Congress and a prominent advocate for human rights during his nearly three decades in office. Prior recipients of the Lantos Prize include former Israeli President Shimon Peres, former Secretary of State Hillary Rodham Clinton, the Dalai Lama and Elie Wiesel.